Date of birth: November 27, 1969, place of birth: Salekhard, Yamalo-Nenets Autonomous District, USSR. Director of the FSI «State Institute of Drugs and God Practices». Before the current appointment, Director Shestakov chaired the Pharmaceutical and Biotechnology Department of All-Russia Public Organization «Business Russia». 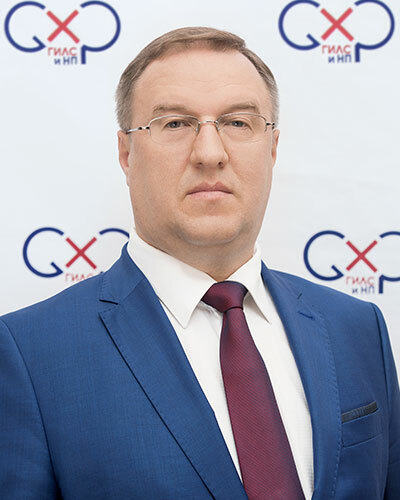 Honorary Chemist, certified GMP inspector and auditor, Director Shestakov is also Deputy Head of the State GMP Inspectorate and Head of Good Practices Committee for professional qualification of the National Pharmaceutical Chamber. Director Shestakov has been actively engaged in the public healthcare and pharmaceutical industry since 1997. Biographic information: Mr. Shestakov was born in Salekhard on November 27, 1969. In 1987 he entered the Tyumen State Medical Institute, and continued education in 1989 in the Smolensk State Medical Academy. In 2005 he graduated from the State University of Management majoring in «State and municipal management». Graduated from the Academy of Labor and Social Relations in 2008, majoring in «Business management». In early 2000 Mr. Shestakov was Deputy Director General of the Irbitsky Chemical Plant. In 2001 – as Vice President of the Russian Medical Production Association «RosMedProm» – he initiated activities aimed at the low price pharmaceutical production and offered manufacturers a whole number of cost effective recommendations for their product portfolios. In 2002 he headed Sales Department of German company ChemoPharm’s office in Moscow. Worked as Deputy Director General in Makiz-Pharma Ltd. in 2004, and became Director General of the Skopin Pharmaceutical Plant in 2005. In 2007 held the position of Director for Government and Public Relations in NGO «Alliance of professional pharmaceutical organizations». In 2008 he was offered the post of President at EpidBioMed corporation. In 2009 Mr. Shestakov managed Business Development Department in «BinnoPharm» company. After he left the Usolye-Sibirskoye Chemical and Pharmaceutical Plant where he was Director General’s Adviser in 2011-2012, Mr. Shestakov took the position of NanoLek company’s first deputy Director General from 2012 through 2013. As of November 27, 2013 Mr. Shestakov was appointed as Director of the FSI «State Institute of Blood Substitutes and Medical Preparations» (later renamed as State Institute of Drugs and Good Practices). As of 2003, he is a regular lecturer of professional development programs on managing commercial and government organizations, as well as specialized programs in pharmacy and pharmaceutical production. He is a certified a certified international GMP inspector of the World Health Organization.